The City Council gave Portland Streetcar the green light on March 21 to purchase two new streetcars, allowing for more frequent service on the system’s A and B Loops connecting Downtown and the Central Eastside. As Portland continues to add new residents at a rapid pace, the additional vehicles will improve Portland Streetcar’s ability to connect people to housing, jobs, and services in the Central City when the new cars enter the fleet in 2020. New data released by Portland Streetcar shows that the early vision for a streetcar system that spurs housing development and improves transit access is generating results. Conducted by EcoNorthwest, the data analysis shows that 3,130 new multifamily housing units were built along the Streetcar corridor in 2016, the most in the system’s 16-year history. Another 5,600 units are currently planned or under construction. 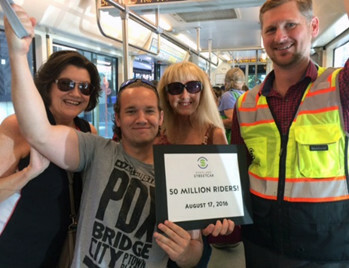 The Portland Streetcar announced in August that than 50 million passengers have ridden the Portland Streetcar since it opened 15 years ago. A critical piece of the city’s infrastructure, Portland Streetcar serves over 15,000 riders daily and has contributed to robust economic development in the neighborhoods it serves. The Loop Streetcar testing on NE Broadway. Photo courtesy Portland Streetcar Inc.
To those who missed the Grand Opening on September 22-23, and are otherwise unaware of it, by the time you read this the Portland Streetcar should be alive, reasonably well, and operating on the southern fringe of Eliot. The city has undertaken a comprehensive look at potential new streetcar routes. This process is a first step to identify possible routes potentially as a way to begin a longer term planning effort to designate preferred routes and plans to expand the system. Two routes through Eliot were identified, the Williams/Vancouver couplet and MLK. Portland transportation officials are looking at the Williams/Vancouver corridor and MLK as possible street car routes. Officials are looking at neighborhood support and whether the street has under-developed property. Mike Warwick, Eliot resident and longtime land-use committee chairman, says MLK fits the bill perfectly. And clearly, the street car won’t be built on both streets. An article in the July 6 issue of The Oregonian discusses how property owners near the Street Car will have to pay assessments to help cover the cost of the east side extension. The article mentioned how much longtime Eliot resident Pauline Bradford will have to pay, and might leave some with the impression that all property owners near the line will be charged. 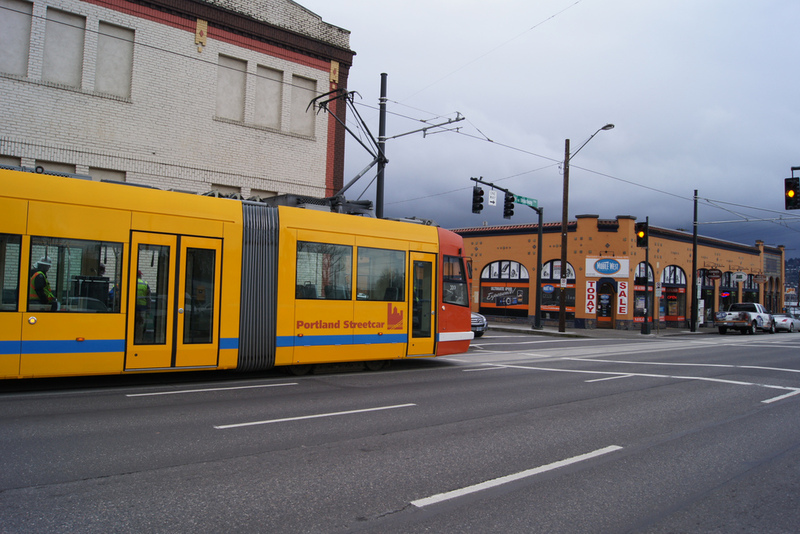 By early 2011, the new eastside line of the Portland Streetcar is expected to be up and running. The line will run from downtown across the Broadway Bridge, hugging the southern edge of Eliot before heading south to OMSI and then back again.